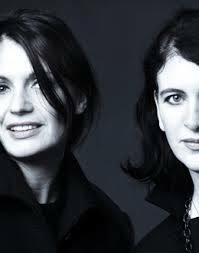 The designers behind the brand Just in Case are Vicky Vinck and Katrien Strijbol. Just in Case is a homage to romance, a reverence to sensuality. It won't allow the moment to be forgotten, just as it won't permit a woman to be anything less than gracefully bold. Just in Case is about fragile confidence, girlish wisdom and mature playfulness. It allows the sensual alter ego in each of us to come out and play.